Accessibility by term means something which is accessible. An accessible website is one which is accessible by everyone. People with any kind of disabilities also should be able to use a website same like a normal person. Major efforts have been done in standardizing the approach by World Wide Web Consortium's and Web Accessibility Initiative. Their efforts have also produced a set of guidelines which comes under DDA (Disability Discrimination Act). 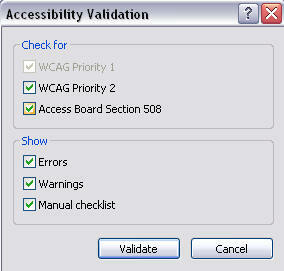 There are set of standards as WCAG 1.1, WCAG 1.2, WCAG 1.3 and Access Board Section 508. These standards have a set of checklist which one has to consider making a website accessible. Web Accessibility Initiative (WAI) has taken steps to prepare guidelines to make websites, software, and tools to be accessible. Websites are vital part of society as the trend of social websites are increasing day by day. So people with disabilities also need to be a valid user of the website. Otherwise, say you have a "Social website", they would be only accessible to say 65% normal customers, and 35% of disabled persons would not be able to see or check out what your business is. This way not only you are blocking your clientage but also being unfair to them by not allowing them to access your product. How can we say that a person is disabled, and how can we tackle this in our website. 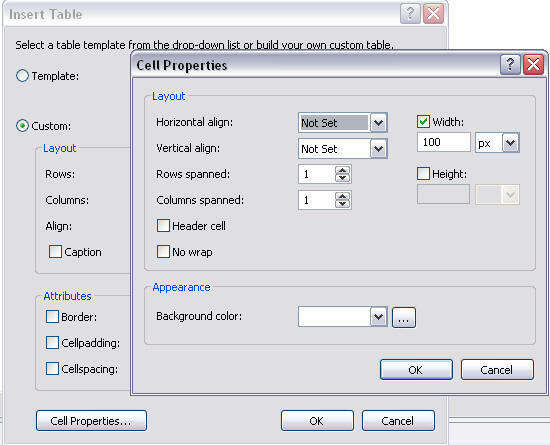 We can use proper style sheets to manage colors and text sizes so any user can adjust according to need. 2- Say you are running a music website, and a deaf persons visits your website, how will you tackle this as the visitor would not be able to listen as he is disabled. You need to add audio captions in place of the music control, so that the content is accessible to them as well. 3- People visit your website with Dyslexia problem, in this case user find it difficult to interpret the written content on the website, it is a neurological disability, and is not an intellectual disability. More options to search pages, provide a graphical representation as well. There can be many more scenarios that exists and can be tackled if we see the complete checklist of World Wide Web Consortium's and Web Accessibility Initiative. Microsoft based websites developed in ASP.NET can be optimized and configured of Web accessibility standards by considering the rules in our mind. Let's take an example site and try to see how we can develop an accessible website and what steps we need to make to make this website accessible. Clicking on "OK" button will generate the website with a default page, and put a code in it as well. Let's analyze the code below which .net produces for us and see if it is accessible. Visual Studio.net has a built in accessibility checklist option in the toolbar. Here we can see that WCAG Priority checklist 1 is disabled as that has the most common points we need to adhere in our coding and are sort of compulsory as well. Lets click validate to see that we have any "Errors", "Warnings" or "Manual CheckList" in our code which we have missed. Note here that we need to fully remove the Warnings as they are most important, and then on second priority we need to check for errors and on least priority are our Manual Checklists. Here we can see that though we have not done any coding yet, but Microsoft has checked the code against the standardized checklist, and produced for us a little error report, luckily we do not have any errors yet. We receive set of warnings and messages, which are certainly optional for us to correct or not. This way whenever you produce some code, do check against the checklist, as visual studio.net 2005 and 2008 have awesome support to check for accessibility errors so one should make a habit of validations and rules. Visual studio assists in developing accessible websites to the fullest but we as developers show laziness or sometimes due to deadlines we are in hassle, and we do not care about. But later on we have to pay for extra time as we always get cross browser websites. Let's follow the same example and see how Visual Studio assists us in development. 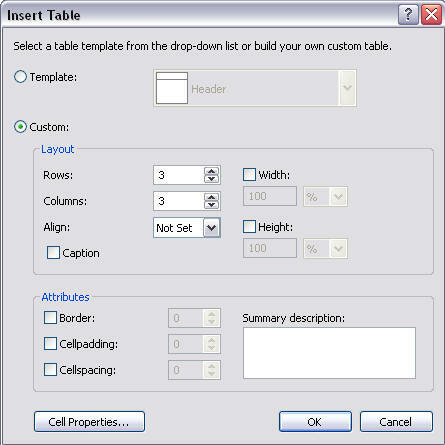 Let's add a table in above code. It is clear that we have reduced the warnings to nine and there are zero errors in the list. 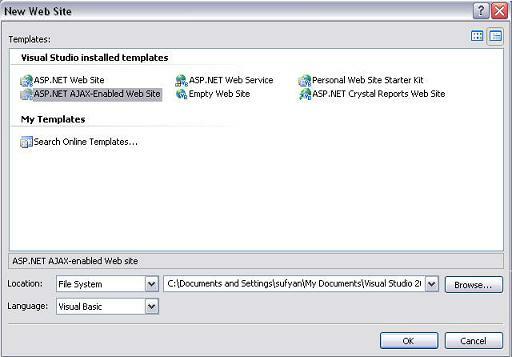 Hope this discussion will help the developers to have an idea for how to make the ASP.NET websites accessible and cross browser compatible. This tutorial is written by Ali Sufyan.